Do you have a systematic pre-run routine? Incorporating an effective pre-run routine that is specific to your needs is important. This area is often completely neglected and runners wonder why they struggle through the first 15-minutes of their run, see mediocre results, and/or get injured. Runners come in many different shapes, sizes, and ability levels. What works for you may not work for someone else because your body functions differently. That is why I want to use this article to talk about a framework that can be tailored to your specific needs rather than giving general recommendations which may or not may benefit you. 4. Reset. I can honestly say that the nervous system is not a focus for many runners. That is because it’s so easy to see value in getting stronger, faster, and more resilient, without talking about the underlying communication/feedback system in the body. From daily stressors, such as work, family, poor diaphragmatic breathing, and exercise, the nervous system can often become “turned on” more consistently. As you move into a more sympathetic state, the body responds with increased cortisol levels, muscle tone, and stiffness. These symptoms are not ideal for successful running performance and pain-free function. A simple drill I like to implement with many of my runners is called crocodile breathing. Proper diaphragmatic breathing can help “turn down” the nervous system and return the body back to homeostasis. Have you ever noticed how deep breathing changes the way you feel in times of stress? With that being said, adding a breathing drill into your pre-run routine can be very beneficial to get the most out of your training. 3. Lengthen/Lubricate. Reflecting on the amount of range of motion and fluidity of movement throughout the kinetic chain is important. If there are areas that commonly feel stiff or are restricted, adding self-myofascial release, flexibility, mobility, and dynamic movements can be useful in freeing up range of motion. Oftentimes, I hear from runners that they always feel sluggish through the first few miles. This makes complete sense when there is no focus on increasing tissue temperature and nerve conduction velocity, or lubricating the joints and lengthening surrounding soft-tissue before training. In this step, I always advocate for knowing which joints actually have below average range of motion. Targeting these with proper flexibility and mobility drills can provide long-term benefit far beyond your training session for that day. But regardless, moving the body through a full range of motion can help reduce stiffness and significantly boost performance from the start of your run. Stop struggling through the first few miles and make them count! 2. Activate. Due to extended hours sitting each day, poor exercise selection, and repetitive, high mileage training, it’s common that certain muscles become inhibited. Inhibition is a reduced neuromuscular connection that leads to poor firing of affected muscles. Implementing isolated, activation exercises can be very beneficial in getting inhibited muscles working. Once certain muscles don’t fire properly, other muscles compensate to pick up the slack. This often predisposes runners to increased muscle tension, tightness, and possible injury. If you are unsure of which areas need to be targeted, applying a general strategy to activate the plantar foot, calf, gluteals, and core can be impactful. Essentially, improved function of these areas will carry over to better running efficiency and performance. 1.Locomote. The only thing left is to put your newly improved function into motion. Locomotion drills helps prime the neuromuscular system and improve coordination and timing. More often than not, runners are not completing locomotion drills before, or in addition to, their training which is actually doing them a disservice. Crawling, skipping, bounding, and shuffling are all forms of locomotion that set the stage for an efficient running cycle. What you need to realize is that running is an advanced skill that should be progressed to properly. Incorporating the following locomotion skills can make a big impact to your running form and performance. As you can see, incorporating a systematic pre-run routine can create huge long-term benefits in running performance and injury prevention. This framework should get you thinking about areas that you may have been neglecting for years. Now it’s time to fill in the blanks and add basic exercises that make an impact. As an added bonus for reading this article, I want to give you my new pre-run checklist. This PDF will serve as a reminder on what areas should be included in a beneficial dynamic warm-up. I highly recommend you print it out and keep it handy before your training. Getting familiar with this framework has allowed my clients to see dramatic improvements in their running times, with such a small time commitment. Are you happy with your results in the past year? Did you create a set of goals that you wanted to accomplish? Which ones of them did you actually achieve? 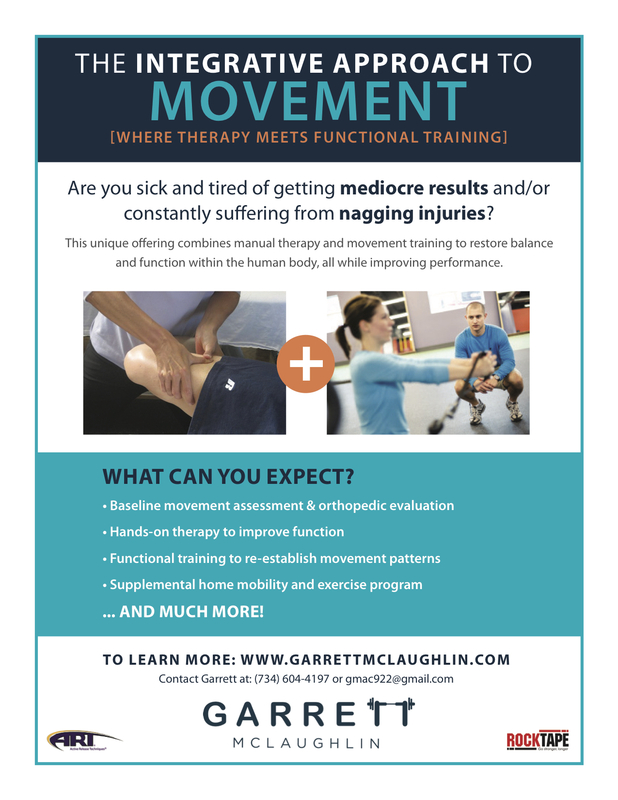 Did you suffer any overuse injuries, tightness, or limited mobility? What was the most difficult aspect of your training? Did you utilize strategies like foam rolling, dynamic warm-up, functional training, cool-down/recovery? These are all areas we really need to dig into moving forward. The offseason is not just a time where there are no competitive races, but rather an opportunity to reflect, reassess, refocus, and rebuild. Let’s put our energy into doing a complete audit of the past, before creating an intentional plan for success in the future. From a functional movement standpoint, the offseason is golden! Because sport-specific training should be very low to non-existent, this is a time where we can really place emphasis on fixing and/or rebuilding the foundation. The groundwork laid in the offseason can pay huge dividends once your races are carefully chosen and the training program put in place. 1. Reflect. Let’s take a look at 2016… What were your goals at the start of the year? Did you achieve them? If not, what things held you back from the success you once thought was yours for the taking? These are some questions you need to ask yourself before moving forward. If you had struggles in the past that played a role in not seeing the results you wanted, it’s important to look deeper within them. Are there any recurring themes? This could be anything from lack of preparation, poor nutrition, inconsistency in your training program, injury, poor endurance and performance, lack of guidance, and so much more. Out of the areas you believe could have contributed to your lack of success, which ones are the easiest to fix? I recommend starting here. 2. Reassess. When it comes to movement, having a strong knowledge of your body is important. Every offseason brings with it the need to reassess your strengths and weaknesses from a functional movement standpoint. Do you have any imbalances or asymmetries? Are there issues with your movement that could increase the risk of injury and/or limit performance? I can confidently say that many of you don’t know the answer to those questions. This is because I evaluate runners and triathletes just like you on a daily basis. They come to me to get “stronger,” when there are so many underlying issues that need to be corrected first. Improving function is essential in the offseason. That’s why reassessing your movement competency and resolving any issues is of the utmost importance. 3. Refocus. Once you have reflected and reassessed, it’s time to be more intentional. I know you want to schedule that New Years Day race, but is it really what you need to get on track? Based off the previous two points, what steps need to be taken to make sure 2017 is a success? Is it being more consistent with your training? Hiring a performance coach to improve poor movement and function? There are so many different recommendations that could be listed here. In the end, it should be individualized to your needs. 4. Rebuild. Since my focus is primarily the movement and injury prevention side, I recommend supplementing your training with these strategies. Oftentimes when it comes to running and triathlon, the body takes a beating. Mileage begins to ramp up and, if not well prepared, injury and/or poor performance can be the result. That is why having a functional training program in place is so valuable. And, when I say functional training, I don’t solely mean “strength training”. Yes, that is one aspect of functional training, but in my opinion possibly the least important. Functional training can consist of anything from a proper dynamic warm-up, to foam rolling and self-myofascial release (SMR), and everything in between. Essentially, it’s a supplement to your running/triathlon program to keep the body fine tuned, moving efficiently, and performing at its best. And it begins in the offseason. That is the main reason I wanted to write this article because I know you will see great results when rebuilding the foundation. Anyway, I hope you found this article valuable and will take some time to put things in perspective. If you think functional training is a strategy that would allow you to be more successful, I invite you to join my 8-week Offseason Group Functional Training Program. This program will undoubtedly provide you the best functional movement strategies to build a solid foundation in the offseason. Click here for more details or contact me with any questions. Good luck this offseason!